New West Records is proud to present Strange Country, the new full-length album from the young and gifted cousin-duo Kacy & Clayton. The ten-song collection was recorded over seven freezing Canadian winter days at Ghetto Box Studios, a historic community hall turned studio. The product of a lifetime of deep kinship, the record showcases the purity and astounding beauty of Kacy Anderson’s voice, one that has been notably compared to Fairport Convention’s Sandy Denny. 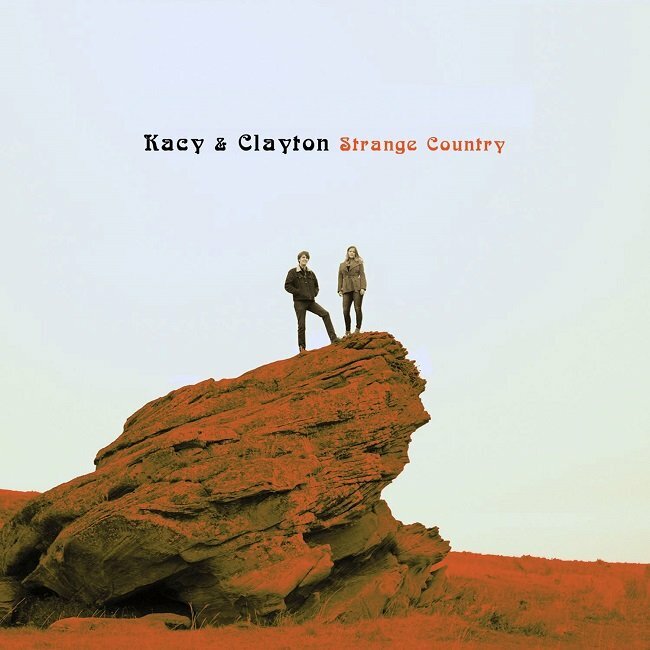 Only Clayton Linthicum’s intricate guitar work, expert time changes and vocal harmonies could forge the foundation for Kacy’s voice to soar even higher – the result being an enormously satisfying and organic album. Drawing a wide swath of inspirations ranging from the Greenwich Village folk scene to the ancestral music of Southern Appalachia and the British Isles, the cousins fashion songs steeped in those traditions, simultaneously paying homage and building on those sounds.